Write About - How to Remember Information: Using Learning Styles? How to Remember Information: Using Learning Styles? Have you ever been approached by someone who you know you’ve met before, but you can’t remember their name? It can be pretty embarrassing, especially if they remember yours! Or, worse yet, you don’t recognize their face but it’s obvious you have met them before! Do you ever walk into a room, and then forget why you went in there? Or think you can remember the few things you need at the grocery store, only to go home and realize you forgot to buy some of them? Remembering information is much easier if you use your learning style, or the way in which you retain information best. 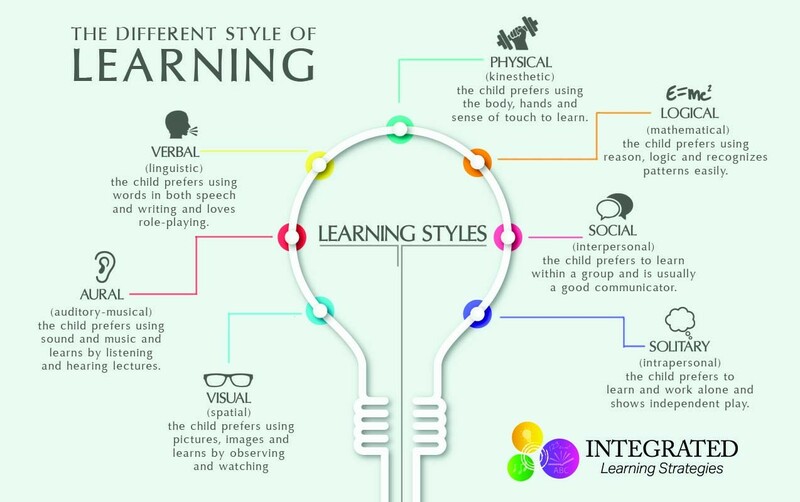 Learning styles are the methods by which each person gathers and retains information efficiently. For example, do you tend to remember song lyrics, but can’t match faces with names? then you may more easily remember things you hear than things you see. We all have ways that work better than when we try to remember things. Your learning style (or styles) is your best, most effective method. People remember information that is presented in many ways. For that reason, it would be inaccurate to say that each person has only one learning style or learning ability. Instead, the way each person learns and remembers information best is called their dominant learning style. For most people, one learning style is dominant. For others, more than one learning style may be equally efficient. Either way, knowing your learning style can help you remember information much more easily! Visual Learning Style – Information is learned through visual stimuli. Visual learners retain information well through pictures, movies, or seeing events or people in front of them. Visual learners remember faces well, can describe scenes in great detail, and can often create visual images such as art. Visual learners “think in pictures”. Auditory Learning Style – Information is learned through auditory stimuli. Auditory learners retain information primarily through sounds, speech, and other auditory stimuli. Auditory learners remember spoken words and song lyrics, and remember well with mnemonic devices. Autitory learners think in words or sounds. Tactile Learning Style – Information is learned through touch and experience. Tactile learners retain information as he or she experiences it, through touch and hands-on activities. Tactile learners remember textures and things that they experienced hands-on. Tactile learners think in experiences. Kinesthetic Learning Style – Information is learned through motion and movement. Kinesthetic learners retain information through movement and activity. Kinesthetic learners remember actions they took and activities in which they participated. Kinesthetic learners think in activities. So, now you’re beginning to wonder what your own dominant learning style is.There are quite a few online quizzes that you can take to determine your sensory learning styles (see right). However, you can also take a quick look at your everyday activities and get a good idea of your dominant style. Think about what you like to do. Do you hobbies involve movement, such as dance or sports? Do you like visual things, such as reading or painting or crafts? Or how about music? The things you like to do are usually in the sensory style(s) that come easiest to you. Also in what environment do you work best? Look to where you have found success at school or on the job to see how you might best retain information. Do you remember more from lectures or group discussions? Or do you remember what you read or see on slideshows? Do you pace while on the phone or brainstorming (that’s kinesthetic!)? These are all clues as well. The most important thing you can consider is how you best remember things. Look at your daily life and note your successes – no quiz can replace this step! Some learning styles will seem foreign to you especially when you write an essay online. For example, if you can never remember song lyrics or what people tell you in passing, you are probably not an auditory learner. Look at what has worked for you and be honest about your biggest successes – you have likely succeeded most when working in your dominant learning style! One of the most common memory challenges is to remember names and faces of people you meet. If you meet a lot of people in rapid succession, keeping them straight can be even more challenging! But, using your learning style can help you remember them much more easily! Visual Learners – Focus on the way people look and the clothes they are wearing. Remember that pictures are your best memory cues, so try to associate something unusual or memorable with that person’s name. For example, if you meet John and he is wearing a brightly colored tie, envision that tie with the name “John” written on it. These visual cues, whether you create them or they are actual memories of the scene, will help you associate names with appearances. Auditory Learners – Focus on the sounds you hear when you meet someone. Notice accents or inflections in their voices. Make up songs that represent the person’s name and face. So, if you meet John and he has brown hair and a southern accent, make up a short song about John and his hair and his accent, and you will associate those factors together. Tactile Learners – Focus on what you are experiencing at the time you meet someone, including how that person makes you feel and other things that are happening when you meet them. If you meet John, take note of how you feel around him. Does he remind you of your favorite uncle? If so, take note of that feeling and associate your uncle with John’s name. Or, does something going on in the room stand out? Associate John with the way that event makes you feel. Kinesthetic Learners – Focus on the motion or activities at the time that you meet someone. This can be your actions or those of the person you are meeting, or other things going on around you. When you meet John, notice if he has an unusual handshake, or an unusual way of folding his arms. Or, is someone behind John doing something you can associate with him. Put his name and face into the activity in your mind, and they will be associated when you need to remember him. Once you know your learning style, remembering information is easy and less time consuming! Using the same method as with names and faces, try to make associations that fit your learning style. Associate what you need to remember with something visual (an image), auditory (a mnemonic device or song), tactile (an experience) or kinesthetic (a movement or activity), and you will have a much easier time remembering! When you know you will need to remember information, try to put yourself in situations where your dominant learning styles are engaged. This makes it much easier to retain information. For example, if you have an option of reading an article or watching a video on the same subject, consider your learning style! When situations don’t fit your learning style, try to convert them into your dominant learning style. For example, if you are an auditory learner and you have to read text, try reading it aloud. You will remember the information faster and more effectively! Try these tips and amaze your friends and family with your memory!